Lucky Leprechaun is the best Irish themed mobile slot that the world has to offer! 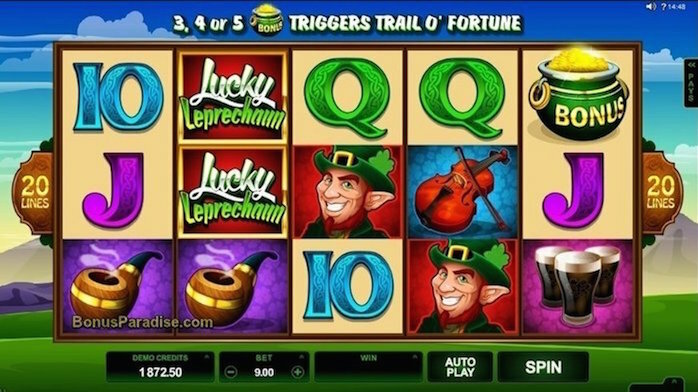 Lucky Leprechaun by Microgaming is one of many Irish-themed video slots out there. But what makes this game stand out from the pack is its fun bonus features, HD-quality visuals and an entertaining, if slightly stereotypical soundtrack. Available at many online casinos, we think the best place to play Lucky Leprechauns is at Hippozino. Looking to win your very own pot o' gold? 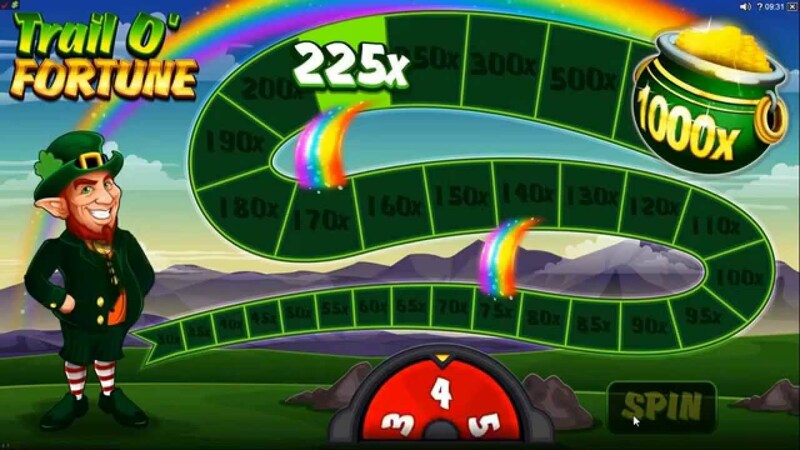 Then read our Lucky Leprechaun mobile slot review to find out what's over the rainbow! Microgaming has taken the initiative and ensured that Lucky Leprechaun is the go-to Irish-inspired video slot for players. Certain stereotypes are there to be sure to be sure, but this lucky leprechaun's charm and his maximum win keep gamers coming back for more. Compared to Microgaming’s older Lucky Leprechauns Loot slot, this new game differs wildly. In comes a vibrant colour scheme, making the game visually appealing to the player, and even the hackneyed rainbows have been taken out of the main game. This slot feels very modern and has made a tremendous effort to differ itself from other Irish slots. Persevering with the pretty run of the mill theme, Lucky Leprechaun changes it up with its symbols that include a pint of Guinness and a smoking pipe, not often found in other Irish video slots. The eponymous leprechaun greets the player as the game begins and his irresistible laugh is sure to (lucky) charm visitors to this slot. Lucky Leprechaun has five reels and a fixed number of 20 paylines which may put some players off a bit. They can still adjust the total sum that is wagered per spin by betting from 20p up to £20 and the maximum £20,000 jackpot is pretty amazing. Seeing how fairly large wins arrive pretty often and the slot's very decent 96.3% RTP, it's still worth a gamble. Microgaming has made ensured that the features in Lucky Leprechaun are enticing and original enough to rope in the casual and more experienced gamer alike. The two main features in this slot are fantastic, one with a typically Irish theme – the Trail O’ Fortune, and a more relatable aspect to fans of video slots – stacked wilds. The Trail O’ Fortune presents players with a table-game type of board. They will spin the wheel and travel along the winding trail that leads to the game's ultimate prize – a huge 1,000x multiplier. Keep an eye out for the secretly hidden emeralds which award extra spins and allow gamblers to play for longer. Rainbows also appear and provide assistance in reaching the holy grail that is the pot of gold. They act as a bridge which in turn helps players to get a higher multiplier. The stacked wilds feature brings players back from the magical realm. They're pretty much one huge wild symbol that can cover the entire last reel. When this occurs, the gamer gets five extra spins with an initial 2x multiplier. However, if they have green or gold clovers on other reels, more extra spins and bigger multipliers will appear, increasing the potential earnings! Want to play Lucky Leprechaun? Lucky Leprechaun is a brilliant mobile slot that will take you looking for that pot of gold! Lucky Leprechaun Lucky Leprechaun is a cut above all of the other Irish-themed slots out there. Microgaming can take a lot of credit for taking a theme that has been done thousands of times, and making it into an immersive experience that was worth their time. Striking visuals, a fun character and a surprisingly addictive audio element make this a game that can be played for hours at a time without getting bored. The Trail O' Fortune and stacked wilds features offer up various multipliers and extra spins but the fixed 20 paylines is a slight disappointment for players who like to mix their bets up a bit. However the max prize of £20,000 is enough incentive to get over this minor gripe. We're giving Lucky Leprechaun a grand four out of five stars.